A guide to the beautiful village of Ballydehob, and the Surrounding area. 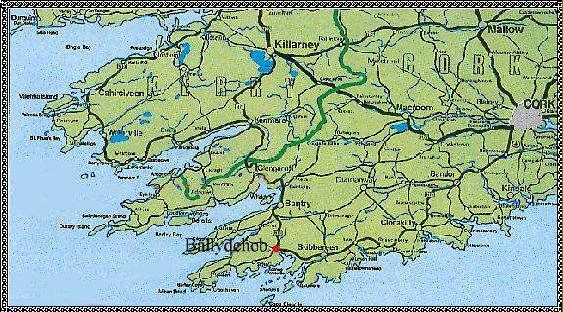 Ballydehob is situated on the South West coast of Ireland, about 65 miles from Cork City on the N71. It lies about 20 miles east of Mizen Head , Europe's most westerly point. Here where the gulf stream practically touches the coast, Ballydehob snuggles in the embrace of the surrounding hills. The village is a patchwork of colourful gables, with antique shops, craft galleries, a bookshop, and many good places to eat and drink. Ballydehob also has the reputation of nurturing the Arts, and is home to several writers, artists, sculptors, and craftspeople practicing various disciplines. Roaring Water Bay and the fastnet rock to be seen in the locality. 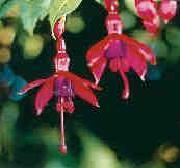 There is a rich diversity of wildlife to be found in the area with many rare and unusual plants. Flora & fauna. Pubs and Bars. Sports and leisure. Services. Shops. Useful information.